If you look back at photos of healthcare spaces that we’ve constructed or renovated as little as five years ago, you’d notice a stark difference from those that we’ve completed within the last year or that are currently in progress. It’s no secret that the design of medical environments is rapidly changing, and here are a few ways that our healthcare clients are adapting and incorporating these new trends into their respective facilities. According to Healthcare Design Magazine, residential warmth is one of the top need-to-know trends that are helping to reshape design of medical facilities. The architects and designers we work with do this by incorporating less “clinical” furniture, contemporary artwork, hardwood flooring and other carpentry aspects in their spaces including columns and crown molding. We also often perform interior demolitions of existing spaces to open them up and incorporate more natural light. 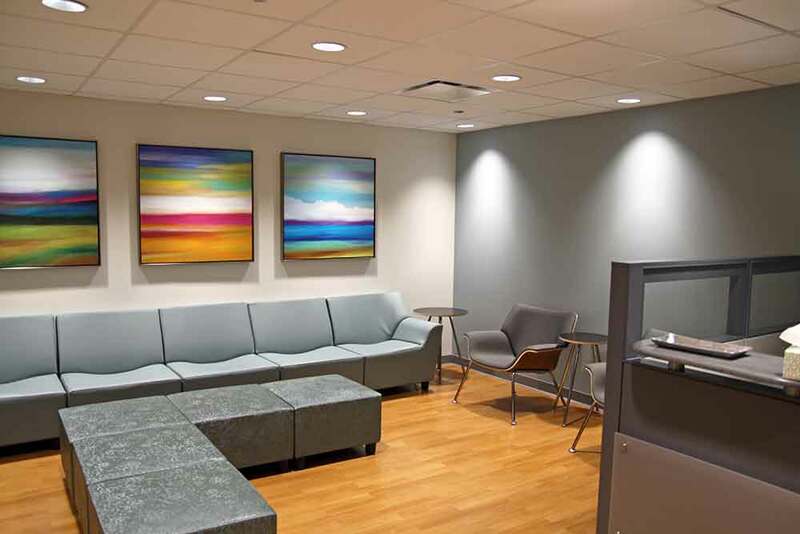 The lobby and reception area at the Rush University Medical Center Simulation Lab features hardwood floors, a couch and ottoman (in lieu of individual seating), contemporary artwork and low-key lighting. 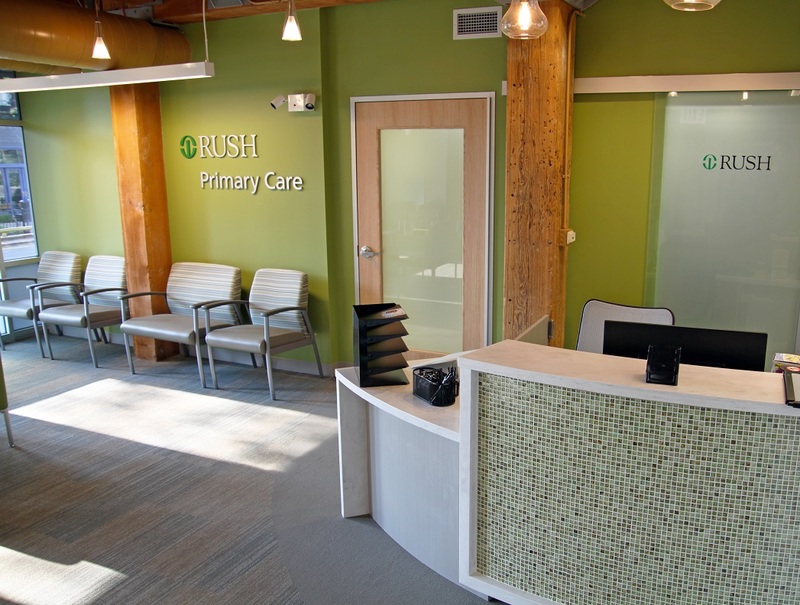 In performing the build-out for Rush Primary Care – Lakeview, floor-to-ceiling windows were included to let in more light, and the building’s original timber ceilings and beams were exposed to give the space a more modern look. 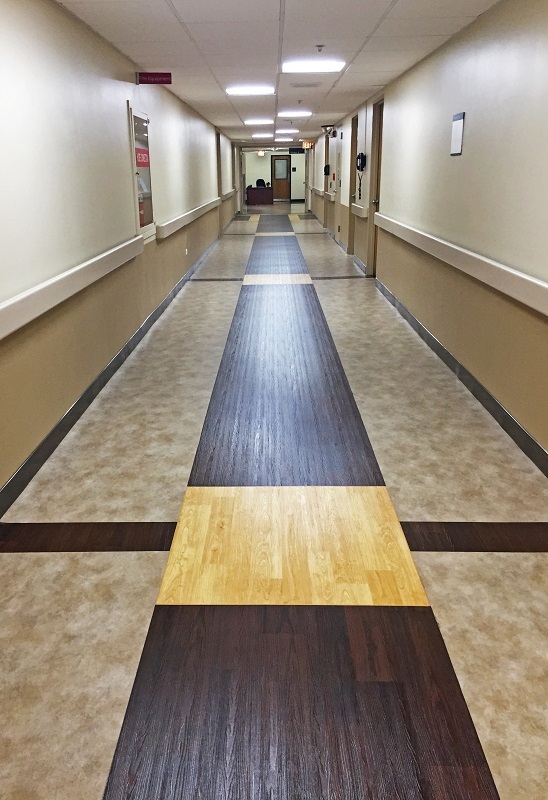 The flooring used in Rush Oak Park’s new Cardiology Unit mimic actual hardwood floors, giving the space a more residential look. The end game is to create a “home away from home” aesthetic to increase comfort, so that patients develop a more positive association between their actual homes and an exam or hospital room. Wayfinding: Strategically placed lighting or illuminated signage reduces confusion and helps patients quickly reach their destinations in what could otherwise be an unclear and unfamiliar hospital layout. Reduce Stress: Many facilities now incorporate softer illumination, a far cry from the traditional, harsh fluorescent lighting that patients have come to expect from medical environments. There are a ton of modern lighting fixtures on the market that give healthcare spaces a high-end, even spa-like appearance. Energy Efficiency: Hospitals and other healthcare facilities are huge consumers of energy, and many across the country are looking for ways to reduce their environmental footprint. One way to do that is by incorporating automated lighting systems that can self-dim or turn off when not in use or during hours of low patient/staff activity. 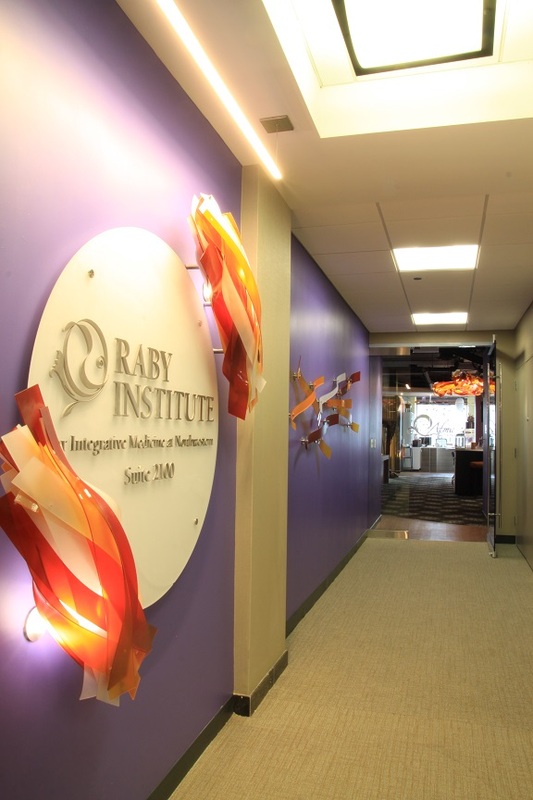 This back-lit signage piece greets visitors to the Raby Institute for Integrative Medicine as they arrive, and directs them to the suite’s main entrance. 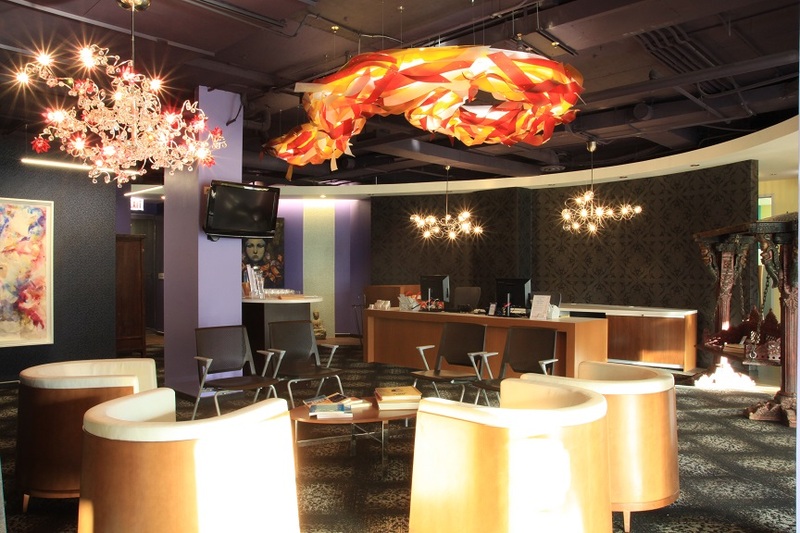 The reception and waiting area at The Raby Institute is a continuation of whimsical lighting, which corresponds to their holistic approach to medicine. The high-end fixtures give the space a zen, spa-like appearance. 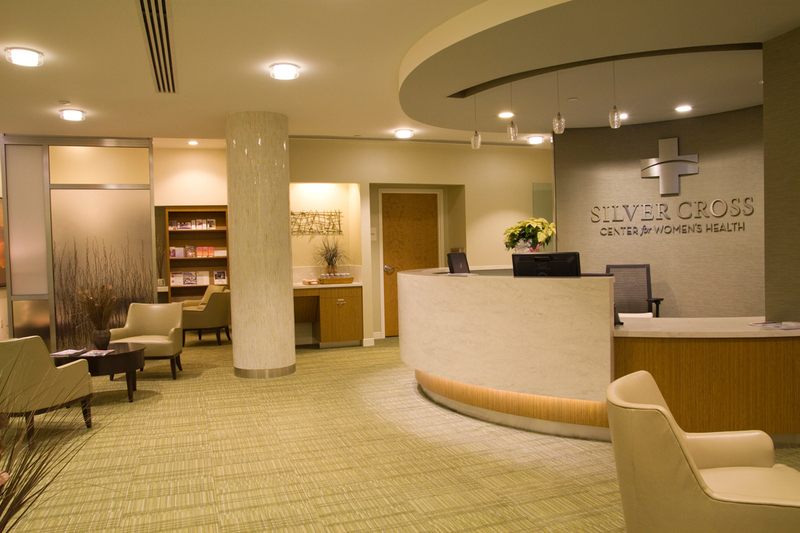 The reception and waiting area of Silver Cross Center for Women’s Health is also a calming environment, with low-key lighting and a more relaxed waiting room layout. Healthcare facilities, particularly hospitals, are obviously in high-demand during an emergency situation. In designing and constructing a modern facility, it is also becoming increasingly important to take environmental threats into account. Even if a facility isn’t located in a high-risk area for natural disasters, experts are still encouraging that organizations strategically pinpoint their vulnerabilities, prioritizing and addressing them by either making physical, structural changes or forming a network of support in the surrounding area to act most efficiently in emergencies. At the end of the day, as technology in healthcare continues to evolve, so will the expectations for design in medical facilities. As the general contractor on these varied healthcare projects, we are preparing ourselves by staying up-to-date of the latest trends, working closely with our designers and architects and above all else, listening to our healthcare clients to determine their needs and turn their visions into reality. Rich Melone a senior project manager at Reed Construction in Chicago. 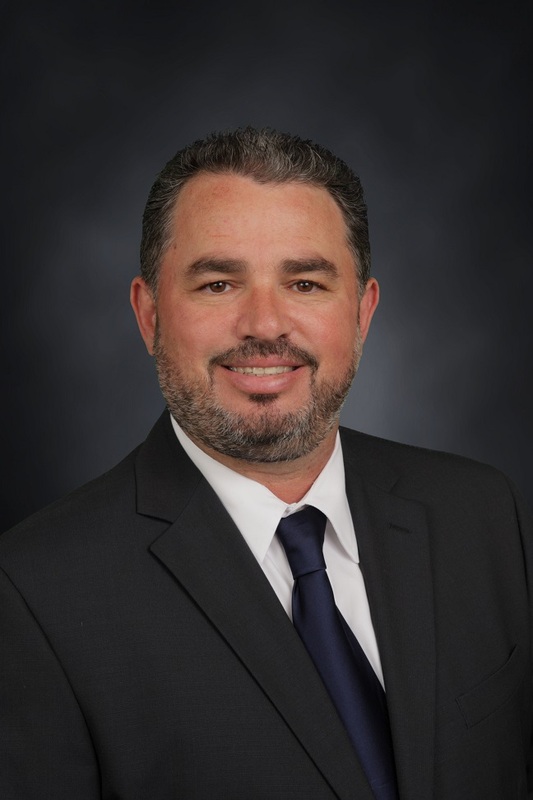 He is the team leader for the firm’s Healthcare Division, and has over 15 years of experience in healthcare construction projects.